Big Bend Trading Company, the museum’s gift shop, sells books related to the Big Bend and the museum’s collections. 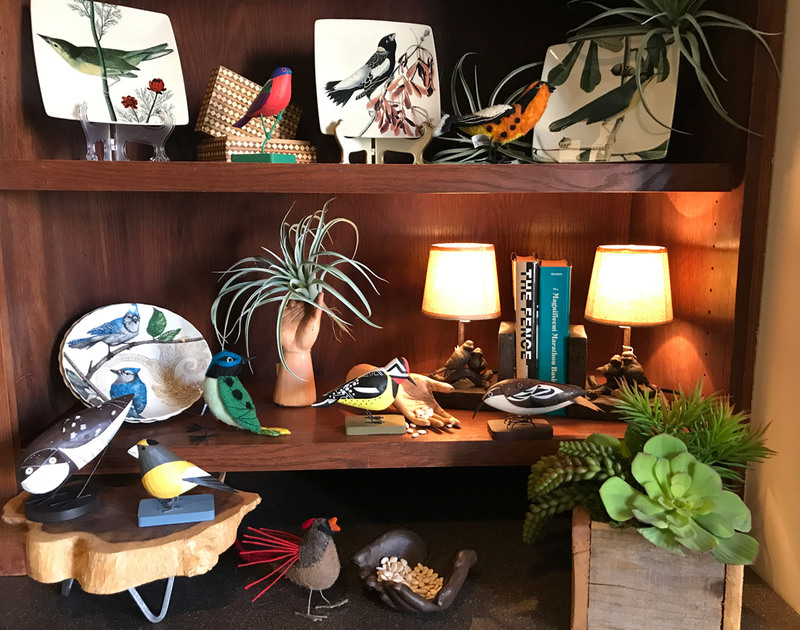 It also carries a variety of clothing, gifts and crafts for children and adults including Gorky Pottery, Charley Harper Handcrafted Birds, and Big Bend Collection Candles. Gorky Pottery: Gorky González founded Alfarería Tradicional, the first pottery workshop in Guanajito, in order to reproduce and preserve the traditional majolica pottery technique of the region. All Gorky Pottery is food safe according to FDA standards and regulations. 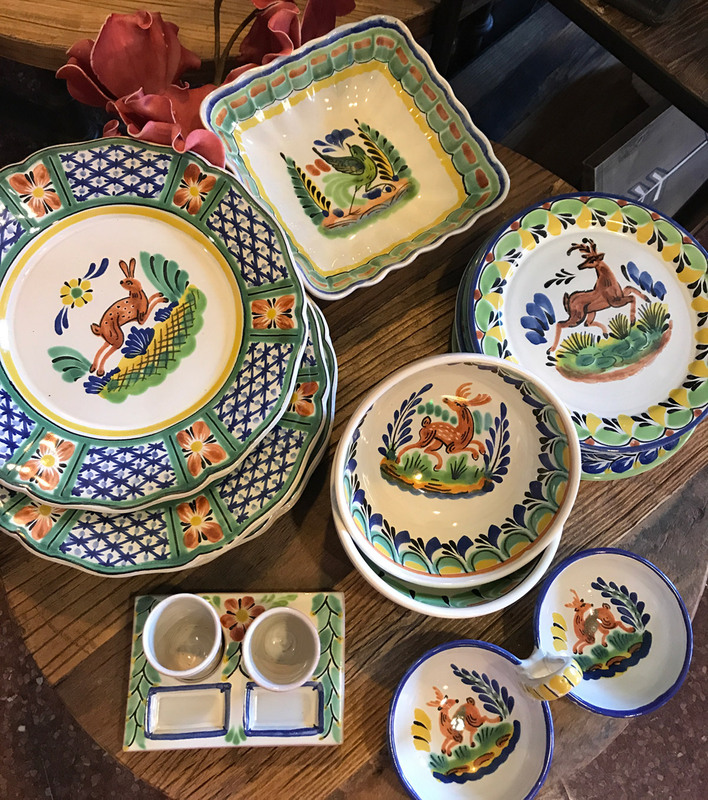 The Museum of the Big Bend is the exclusive retail outlet of Gorky Pottery in the Big Bend. 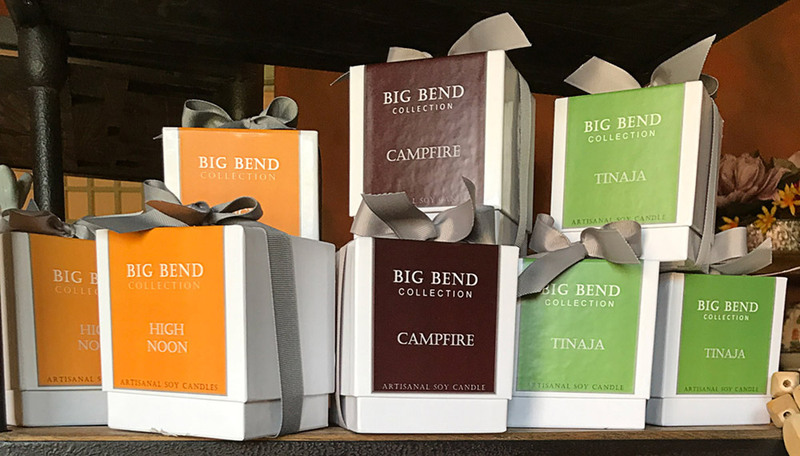 Big Bend Collection Candles: Created exclusively for the Museum of the Big Bend, these artisanal soy candles were inspired by the desire to bring nature’s calm, serene fragrances of the Big Bend into all environments. Each candle is carefully crafted from start to finish in the USA, using only the finest, locally sourced materials to ensure the highest quality. View & print a coupon to receive 10% off your purchase when you visit the Big Bend Trading Company at Museum of the Big Bend! To view & print the coupon, you will need Adobe Acrobat Reader. 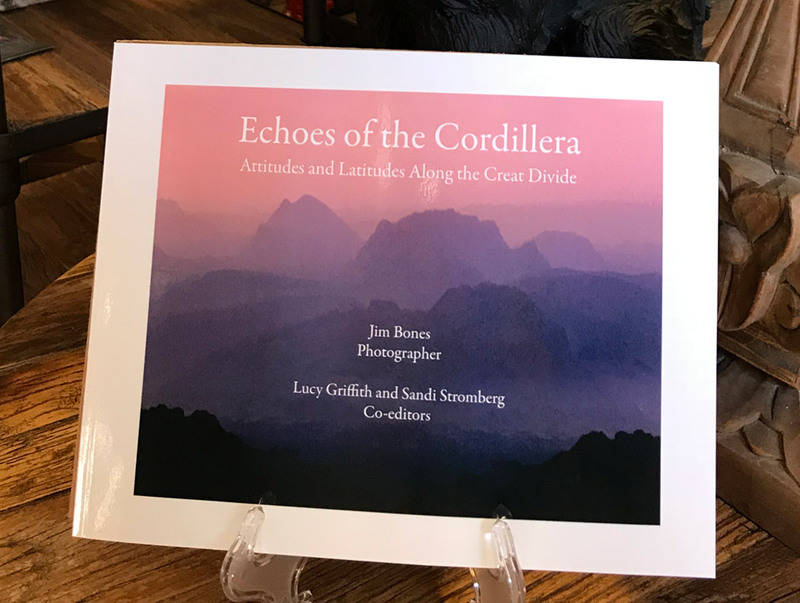 A full-color softcover book containing 52 photographs by Jim Bones of the Continental Divide from Alaska into Mexico alongside ekphrastic poetry, poems written after reflecting on an objet d’art, by 39 poets from Texas and New Mexico. A low resolution copy of the book can be viewed here. This anthology is a record of the exhibit Echoes of the Cordillera: Attitudes and Latitudes Along the Great Divide which is currently showing at the Museum Big Bend from January 13 – March 25, 2018.